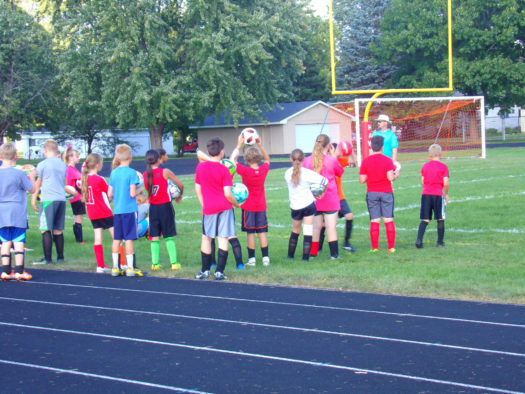 About a month ago, the middle school’s sixth, seventh and eighth-grade soccer team started their 2018 season about a month ago. The teams give the students a chance to get involved and practice their soccer skills in competitions with other schools. Andrew Brooks is the eighth grade coach at the middle school and is in his first year coaching at the middle school. 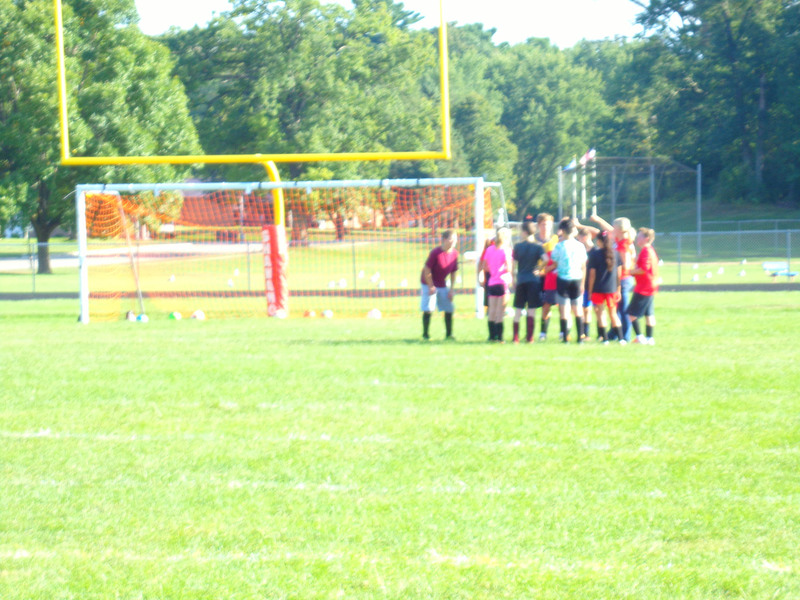 The assistant coach for the eighth grade team, Kayla Hokenstad, is also in her first year of coaching soccer. “I have coached some club teams, a JV team, and some sixth, seventh and eighth-grade teams,” Coach Brooks said. The players have been improving greatly and the coaches are a huge part of that. Many of the students aspire to be like their coaches and have the same skill set. Seventh-grader Tristan Sheldon explained how Coach George Buerman, the sixth and seventh-grade coach, is one of his biggest supporters. Coach Buerman has been coaching for approximately 10 years for both of his children. He is coaching the sixth and seventh-grade team because his son, George Buerman V, is on the team. Both coaches can also tell that their players have improved and enjoyed learning more about the sport. Sixth-grader Trinity Popelka has been playing soccer for about five years. She is the only sixth grader that was moved up to play on the eighth-grade team. Not only is playing a fun experience for the athletes, but the coaches enjoy it as well. The season is off to a great start, and the students are winning games and continuing to work on skills they will need for the future. Most of the students on the field will continue to play through middle school and maybe even high school. They all felt that joining the team is a great way to get involved. Soccer is a great way to learn more about the sport in a competitive way with people that share the same eagerness to learn and meet new people.